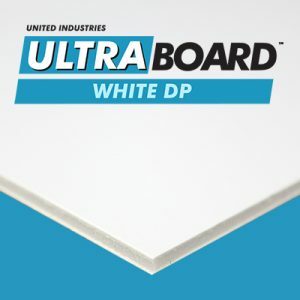 UltraBoard Core is a 3/16″ thick foam core board consisting of a black or white sheet of extruded polystyrene foam core that is laminated on both sides with 12 point white clay coated papers. UltraBoard Core’s lightweight material is ideal for a wide variety of graphic arts applications including point-of-purchase displays, exhibits, signs, models, presentation boards, photo mounting and picture framing. 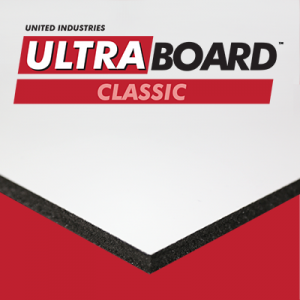 UltraBoard Core foam panels are rigid and smooth, and are easily cut with a utility knife, razor or die. Ideal for mounting and framing photos and prints, and also works well for screen printing, temporary signs, architectural models, promotional displays and point-of-purchase sales. 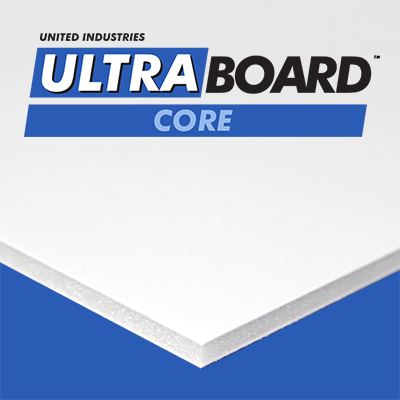 A reliable and economical standard for temporary or light-duty uses, UltraBoard Core is the best choice available. 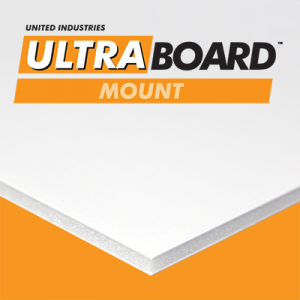 Both durable and cost effective, Ultraboard Core is a quality foam-centered art board at an affordable price. 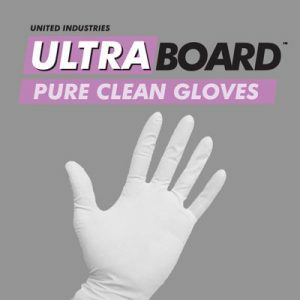 UltraBoard Core is available in either black or white as 48″ x 96″ boards. 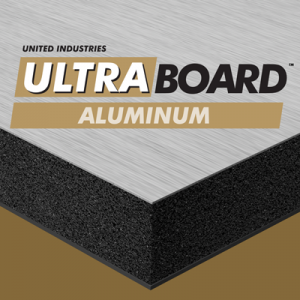 UltraBoard Core panels are available either trimmed or untrimmed. Foam core boards are pre-trimmed to available sizes. Foam core and facer panel are trimmed to an clean, smooth and even edge on all sides. 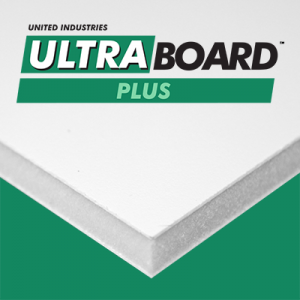 Untrimmed foam core boards are slightly oversized from standard available sizes. Foam core or facer panel may extend out beyond the other on one or more board edges. Untrimmed panels are packaged on skids consisting of full size foam core sheets stacked 40 inches high. Looking for foam core boards for mounting applications? Check out UltraBoard Core Peel N’ Stick , which features an additional high-tack adhesive with removable liner.